Inspired by [Restricted Work] by hazel. Log in to view. Runs 1:17:03. Cover art & podbook compiled by me. 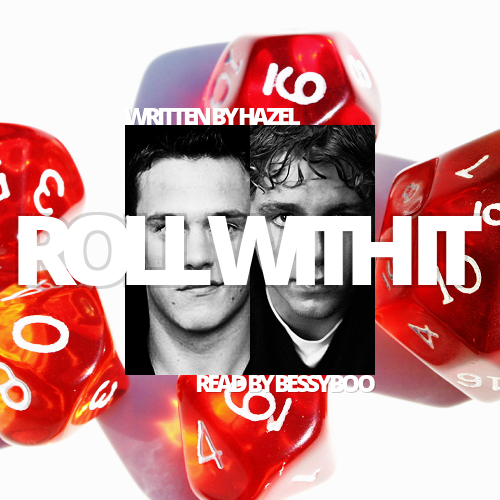 Intro/outro music is "Roll a D6". So this was literally made in 24 hours, in my office, in a makeshift blanket fort with couch pillows and a comforter and conference room chairs, to stop the sound from being weirdly echo-y. So uh. That's....what's up with the sound quality /o\ And also why Sharpy's character's name is pronounced two different ways, whoops. BUT, I got it done, and I do love this fic, it's great, hazel is AWESOME, and Siri hun, I hope you like it <3 Happy #ITPE!